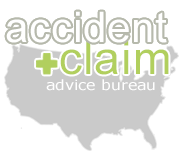 Making an accident injury claim in the UK is a delicate process for many people. Experiencing an accident is a traumatic event in itself, and then on top of that legal, personal, financial, and medical concerns crop up, compounding the problem and often overwhelming the victim. It is therefore essential to learn the basics of making an accident injury claim in the UK to alleviate any additional stress that the accident may cause. If you have been injured in an accident as a result of negligence on the part of others, you may well be eligible to claim compensation for its effects on your life. Although each type of accident is different, they all fall under personal injuries. We recommend the assistance of a professional injury solicitor when making an accident injury claim in the UK. Although it may seem self-evident, the first matter to consider prior to making an accident injury claim in the UK is to ascertain whether an injury has been sustained. The second factor is to determine if the accident is attributable to someone else’s negligence in the form of inadequate care to ensure the accident did not take place. Negligence could entail many practices or lack of them, depending on the circumstances, and the type of accident in question. If the accident is work related for example, negligence could consist of your employer´s failure to provide adequate training in the use of equipment. In a traffic accident, negligence could come in the form of a driver’s lack of attention while driving on the roads, and in a restaurant you may suffer a food poisoning injury if the food has not been prepared hygienically. If you have been suffering the effects of an accident, and would like to learn more about the process of making an accident injury claim in the UK, you are invited to give us a call. Our free advice service offers impartial advice on various types of injury claims directly from a solicitor who can guide you to the appropriate course of action for your particular case. There is no obligation on you to proceed with an accident injury claim, we just offer advice on getting the full compensation your injury entitles you to. Following an accident, the first thing to do is to look after your immediate health needs. When the accident is severe, an ambulance will usually be there at the scene to take you to hospital. But when the ambulance is not present either because the accident was not serious enough, or it fails to arrive on time, it’s always wise to go to hospital to assess the immediate effects of the injury, and report to the casualties department about the accident. If you feel the accident is not serious enough to go to hospital, at the very least make an emergency appointment with your general practitioner. Caring for your injury at an early stage prevents it from getting worse over time, and no amount of compensation will make up for a life-long condition which could have been prevented with timely medical attention. Many times people feel their accident is not serious enough to warrant seeking immediate medical attention — in the case of whiplash injuries, for instance, whose symptoms can take days to manifest — and unwittingly aggravate their condition. Tending to your wounds, whether they be psychological, physical, or both, is vital to your health and recovery. It is also note-worthy that your attendance to hospital, and doctor visits, will be duly noted in your medical records, supporting your claim for compensation. When you fail to seek appropriate care, the party at fault can also counter liability stating that you acted negligently by worsening the injury. The onus falls on employers to safeguard the health and safety of their workers. When an accident occurs as a result of an employer’s lack of care, the employer is held liable for the injury that ensues. If you been injured while performing your work duties and you feel your employer acted negligently in not safeguarding your health, you may seek a work compensation claim. The latest figures from the Health and Safety Executive (2009/10) show that there were 121, 430 work injuries reported during the year, with more than 26,000 of them regarded as serious injuries. As with other types of accidents, you should first tend to your immediate medical needs. But soon as possible, you should record the details of your accident in your employer’s ‘accident report book’, which should be readily available to you. If you must take time off work for more than three days, your employer also has to inform the HSE about your work accident. At that time, the HSE may begin its own investigation. The Department for Transport reported 208, 648 casualties of all severities in road accidents in Great Britain during 2010 — of which 24, 510 of these cases were fatalities or serious injuries. Regardless of the severity, however, the prevalence of road accidents is a worrisome fact that continues to impact on the lives of a great many people. Stay at the scene long enough to answer questions by the authorities, or exchange pertinent information, if at all possible. Also, make sure to note the registration number of the vehicle, and take pictures if you can. Report the accident to the police within 24 hours if they are not present at the scene. Go to hospital, and report to the casualty department. Alternatively, when it is a less serious injury, make an appointment to see your G.P. right away. Because each situation is unique, it is to your advantage to speak to a legal expert familiar with the nuances of law which apply to each type of accident claim. Our free advice service counts on the professional know-how of experienced solicitors who are at your disposal to answer all your accident injury claim concerns. Call us, so you can start learning about the process of starting an accident injury claim in the UK. Do you have a credit agreement? Then you might have been missold insurance. More information at Have I got PPI?